If you are still holding on to your iPhone SE, then you understand that the attachment you have for your phone isn’t that simple. Unlike some of the latest Apple handsets, this mobile has a small four-inch display that makes the phone compact and really delivers the old-school feel. 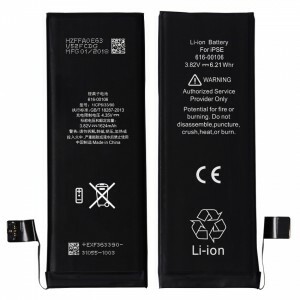 For this reason, if your mobile is having problems with the battery or you dropped it and broke the screen, you’d rather repair than replace. 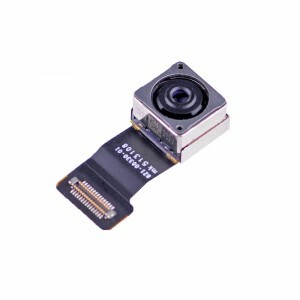 You can use the replacement for iPhone SE front camera and proximity sensor flex cable if..
Cracked your iPhone SE Black LCD screen? Then why not replace it with this premium quality replaceme.. Dropped or smashed your white iPhone SE? Then why not replace it with this premium quality repl.. 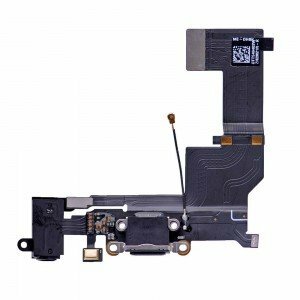 The iPhone 5S or iPhone SE home button flex cable with fingerprint sensor in black is the best part ..
Any and all battery issues affecting an iPhone SE can be addressed with this replacement. With an Re.. If you want to replace the headphone jack, microphone and charging port on an iPhone SE, this part w.. If you want to replace the white headphone jack, microphone and charging port on an iPhone SE, this .. The iPhone SE home button flex cable with fingerprint sensor in rose is the best part to pick if you.. This is a replacement LCD for the black iPhone SE, this is a good replacement if you have cracked yo..
Bring the black edition of the iPhone SE back to a box fresh state with this replacement display kit.. This is a white replacement white LCD for the iPhone SE, this is a good replacement if you have crac.. However, you need to be cautious. If the charging port isn’t working, or the volume buttons are stuck, you’re in for an unpleasant surprise if it turns out that you are out of warranty, you’d have to pay approximately £100 for iPhone SE screen replacement services alone and somewhere in the region of £209 for other damages at an official manufacturer service centre. So how do you cost-effectively keep your iPhone SE running as long as possible? Fortunately, you don’t have to pay for costly repairs or replace your mobile because you have a choice. At iParts4U, we provide you with a plethora of affordable replacement and repair parts to make sure you keep your SE handset intact and fully functional as long as you want. Whether you are a typical user looking to keep your phone functional or you’re a wholesaler looking for a wide selection of products, we aim to be your go-to supplier. And many more to suit your replacement part needs. Unfortunately, no matter how much people cherish and care for their mobiles, there comes a time when they have to deal with scratched screens or damaged cameras. This can lead to a never-ending quest for iPhone SE repair parts and technicians that are reasonably priced and work with quality components. Never give up. While older handset versions like this scare people when it comes to repairs, do not be intimidated. iParts4U has the perfect solution to your iPhone SE problems. With our trusted and reliable replacement parts, it can take you less than an hour to complete the repairs. Moreover, after you place an order, we’ll ship the parts to you within 24 hours or the next working day. 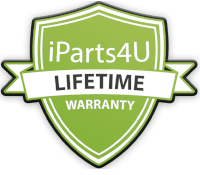 Why You Should Choose iParts4U? It’s straightforward really: Finding iPhone SE parts has never been easier. No more expensive repairs. No more asking around for parts. No more looking for reduced prices for repair and replacement parts. No more jumping from store to store or website to website. iParts4U is your one-stop store. All our products are warranty-backed and are shipped as soon as possible. Get in touch with us today and tell us what your replacement part needs are - we'll be happy to help.